The engineer Eliecer Avila, president of the Movement Somos+, was received in Buenos Aires by the National Deputy Cornelia Schmidt-Liermann, member of the Union PRO party and president of Parladem (Grupo Parlamentario por la Democracia). After a cordial conversation about the Cuban reality and Argentina, the deputy was interested in knowing whether the negotiations between the governments of Cuba and the United States had brought a significant change to the lives of Cubans inside the island. She also expressed her unconditional support to the Cubans who fight for the establishment of a rule of law in the country, which guarantees the full exercise of political participation as well as economic liberties, the only guarantee to achieve real development. For its part, Eliecer thanked the gesture of courage and commitment of brave politicians who are capable of expressing their views about the Cuban government, openly and without fear of being labeled as “rightist”. 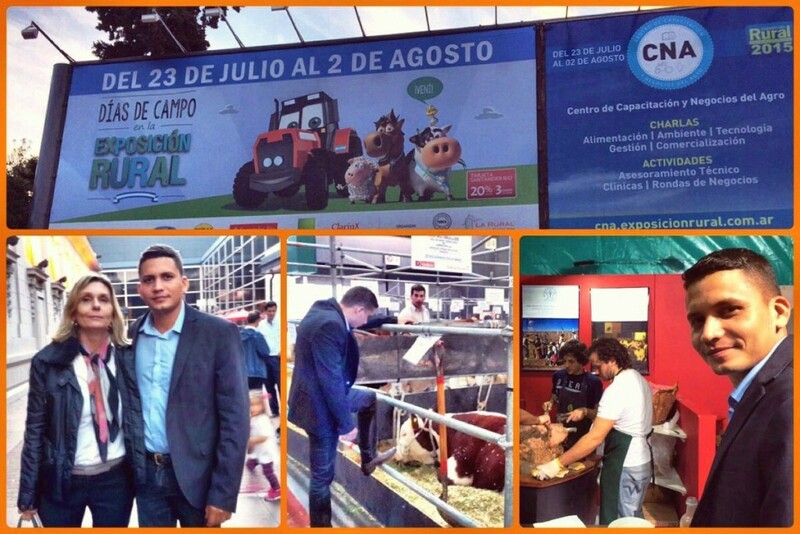 Subsequently, Cornelia invited the young Cuban politician for a tour over the Argentinian Rural Exposition 2015. The most important event of its kind in the South American country. Together, they toured the areas where hundreds of pigs, poultry and heads of cattle were exposed, showing the genetic livestock potential that farmers of the area develop. Cornelia explained how certain laws imposed under the current government, hinder several processes regarding import and export activities. However she acknowledged that the agricultural and agro-industrial sphere remain successful and with high development perspectives for the country, thanks to the hard work of many dedicated households engaged with the field work, which are rewarded every year with an event such as the rural exhibition, showing to Argentina and the world the potential for further growth with the application of advanced technology, more sustainable and environmentally friendly. Finally the deputy sent a message to the Cuban youth. Meanwhile, Eliecer welcomed the invitation and said goodbye, pointing to a leg of beef that was being offered by the local cuisine: “if we get things right, we Cubans won’t need to leave the country to try something so tasty”.